This is our fifth interview in the series of interviews “Female Human Rights Defenders, Who Change Ukraine”. This time, the gender expert Tamara Martseniuk talked to the lawyer of the Strategic Litigations Center of UHHRU Nadiya Volkova. The previous interviews are available for download here. 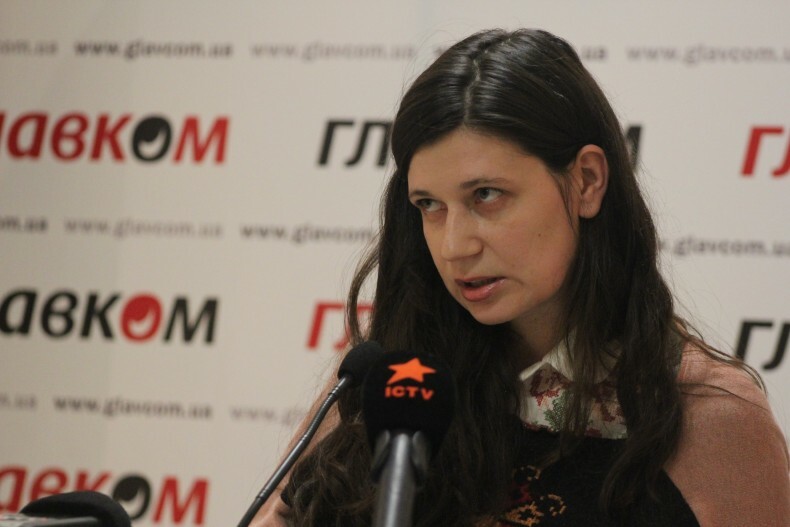 Nadiya Volkova is the lawyer of the Strategic Litigations Center of the Ukrainian Helsinki Human Rights Union. She studied at Oxford Brookes University, Inns of Court School of Law in the UK and Taras Shevchenko National University of Kyiv. 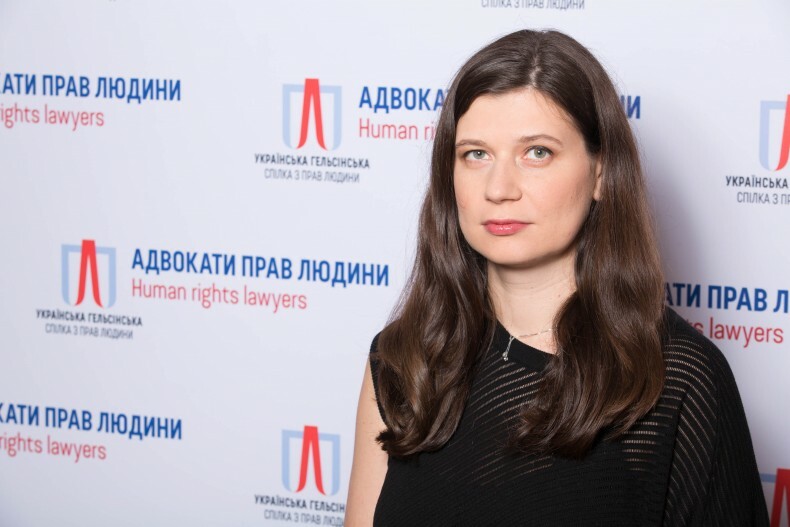 Nadiya Volkova has considerable international experience, particularly at the Council of Europe, the European Court of Human Rights, the European Centre for Human Rights, Amnesty International and others. In Ukraine, she has been working as a human rights defender since 2014. – It so happened that while still at university, I became interested in human rights. I studied and worked abroad for a long time and started practicing human rights there. Due to personal circumstances, I returned to Ukraine in late 2012. Gave birth to the first child and after 3 months started work at the Council of Europe in Kyiv. In 2014, the war in the East had started. I wanted to get somehow involved and do something about this. When I realized that my experience and my desire to help people might have practical application in Ukraine in the human rights field, UHHRU opened a vacancy and I applied. – As I said, I received education and experience abroad. Education – in the UK, and experience – in the UK, France, and America. Somehow our state perceives human rights defenders as their enemies, not as helpers or allies. To me, this is the attitude of a teenager, for whom all those who are trying to suggest how to do correctly are being perceived as enemies of the people. This is a sign of immaturity. – I do not limit myself. I do not choose areas, but they choose me. More precisely, the more help is needed by people, the more I help. Currently, the main focus, of course, is the conflict in the East, but I also work on protection against gender violence, protection of people with disabilities, illegal detention, etc. – Yes, necessarily. But in terms of the development of regulatory and legal mechanisms. In 2011, I worked in a project of the Council of Europe, which focused on the promotion of the Istanbul Convention. Then in 2013, I worked on a similar project; in Ukraine, I work on preparation of Ukrainian legislation to ratify this Convention. The results are not those, which I would like to achieve, but at least the first draft law has been prepared, it needs voting. For this, there must be the political will, and it, as for many important things, is absent. – The greatest success is that this movement appeared after Maidan. More precisely, it became active and systematically makes its presence felt. And the best indicator is that foreign organizations come here, looking for partners to develop certain areas (e.g. destruction of impunity), as well as donors become more active. If we compare donors and investors, their activity in Ukraine is a very important indicator. – The resistance of the state. Such an attitude is probably the Soviet legacy. Somehow our state perceives human rights defenders as their enemies, not as helpers or allies. To me, this is the attitude of a teenager, for whom all those who are trying to suggest how to do correctly are being perceived as enemies of the people. This is a sign of immaturity. Unfortunately. But this is so. – It is difficult to judge. Perhaps there is enough attention, but I’m not sure of its quality. Of course, all of this is subjective, and any attempt to deal with this problem cannot be ignored. But, in my opinion, because of misunderstanding of the root problems of substance and depth, very difficult to do something effective. Our society is not ready to deal with this problem. Again, if our society can not easily respond to men holding hands at the street, or beating a woman by her husband, by contrast, is seen as a household conflict, which is only a pretext for mockery of the law enforcement agencies, so we cannot speak about any progress. Therefore, all efforts to improve the situation are still low-effective. – Our society must be prepared, first, to change, and to change the attitude. However, this does not mean that we should fold hands and wait for the sun to shine. We must talk about the problems, conduct educational activities for young people, for public employees. We must make the subject interesting and important. – My colleagues with whom I work side by side every day.